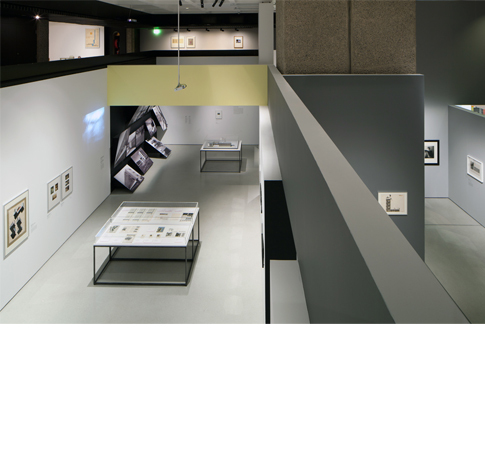 Situated in the Barbican Art Gallery, "Bauhaus: Art as Life" is the largest exhibition focusing on the iconic art school to be held in the UK for almost 40 years. Carmody Groarke collaborated with APFEL to create an architectural installation of elemental forms, crafted around a bespoke way of viewing a collection of over 400 pieces, allowing the visitor to interpret many overlapping stories about the Bauhaus, and also presenting the Barbican Art Gallery in an altogether fresh way. 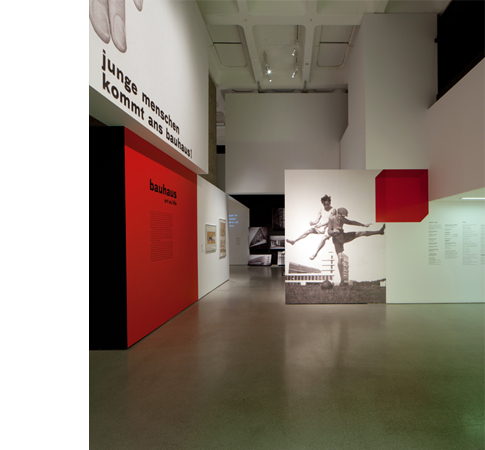 Each and every artefact, drawing, film, costume and painting has been given individual consideration within the overall experience of the Bauhaus' history through the lives of the characters that made the Schools and its work.